The last time I went to my doctor and was measured, I was a full inch shorter than the last time. ONE INCH! This was a different doctor’s office, and I’m certain there are some discrepancies in how hard the nurse pushes down that little metal arm on top of my head to get the reading, but an inch is a LOT! So it’s not so much that I’ve gained weight this year, as that I’ve lost height. And it shows! Clothes seem to fit differently, my own ‘personal space’ just feels different. It’s frustrating as I’ve been eating pretty intelligently this year (although never enough leafy greens, always working on that!) but I haven’t been cycling as much as I have in the past. 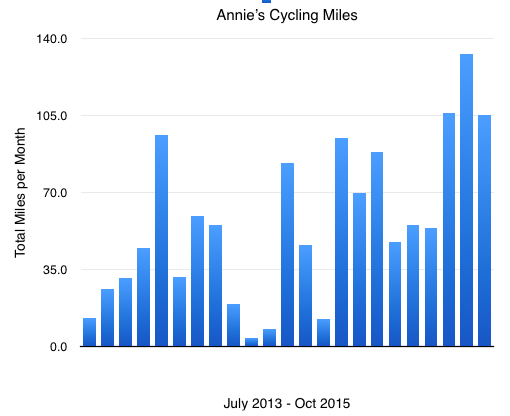 I just made a chart of my total miles per month (I’ve been keeping track of all these numbers via Daily Mile since 2010) and it looks like my cycling has actually INCREASED in the past few years. Wow. I guess I am cycling a lot. Those 4 and 7 mile rides really add up! That doesn’t change the fact that clothes are fitting weirdly (not tight, just weird) so I have NO idea what’s going on… It’s so odd when a portion of your personality’s been based on being tall, and suddenly it seems you’re one of the short ones in the room! Well, regardless, I’m off for a long bike ride today. I’ve earned it, damnit, and I deserve it! 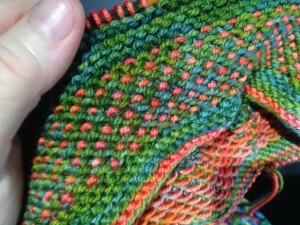 Yesterday I did something I haven’t done in months, I biked over to St. Kates and sat on the porch, knitting. 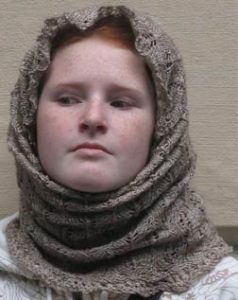 I’m finishing up a sample garment that we’ll be releasing in December, a scarf (shawl?) 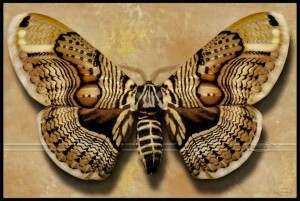 I’ve based on the beautiful Brahmin Moth. I’ll reveal the images later, but it’s one of the nicest things I think I’ve ever designed. 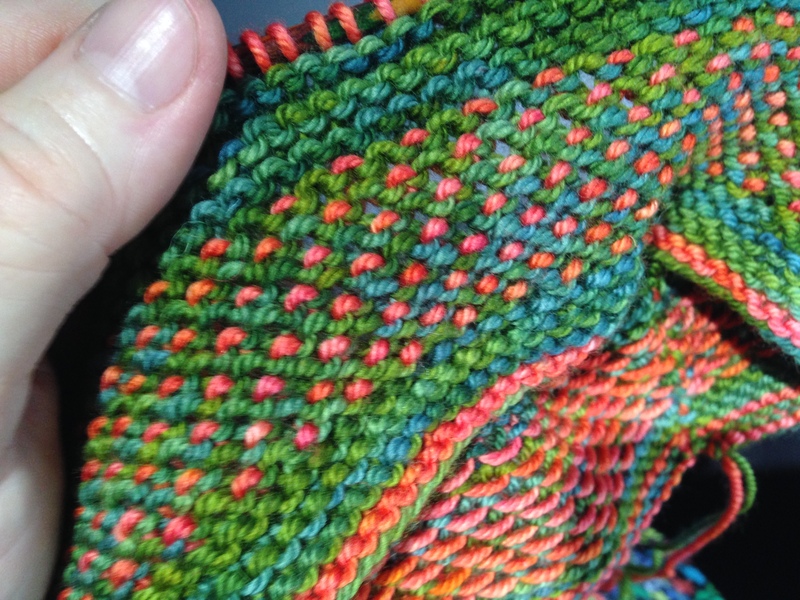 I’m really excited about it, as soon as it’s tech edited I’ll have some folks test knit it, then I’ll release it! 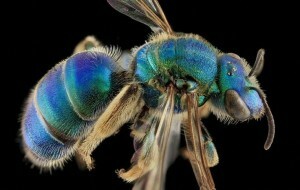 I often get inspiration for colors from insects, they’re so beautiful! 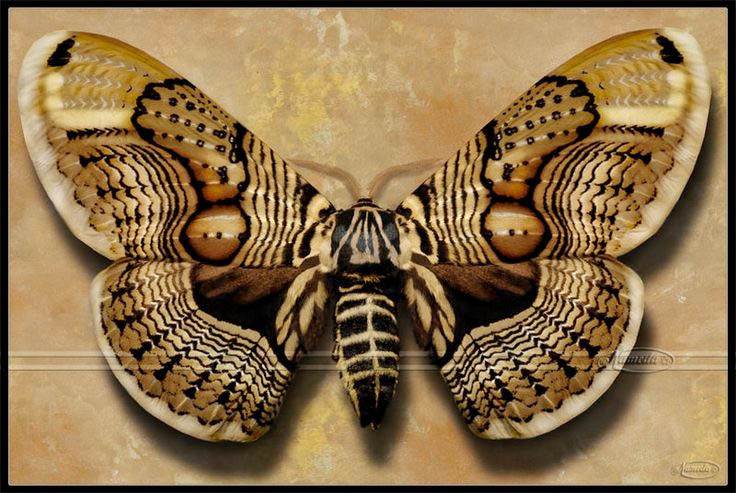 While looking through a bunch of moth and butterfly images I ran across this amazing moth, and knew I had to create a garment that reflected the stunning contrast and tone gradations. I’m terrified of wasps, but one of the most beautiful creatures on earth is the Cuckoo Wasp, which was the basis for one of our colorways in our FLOW club last year. 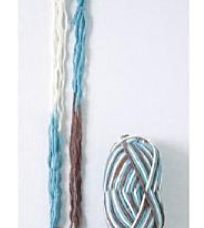 I was so excited to find this baby online (and NOT in my house) and it was thrilling to be able to match the colors in yarn! 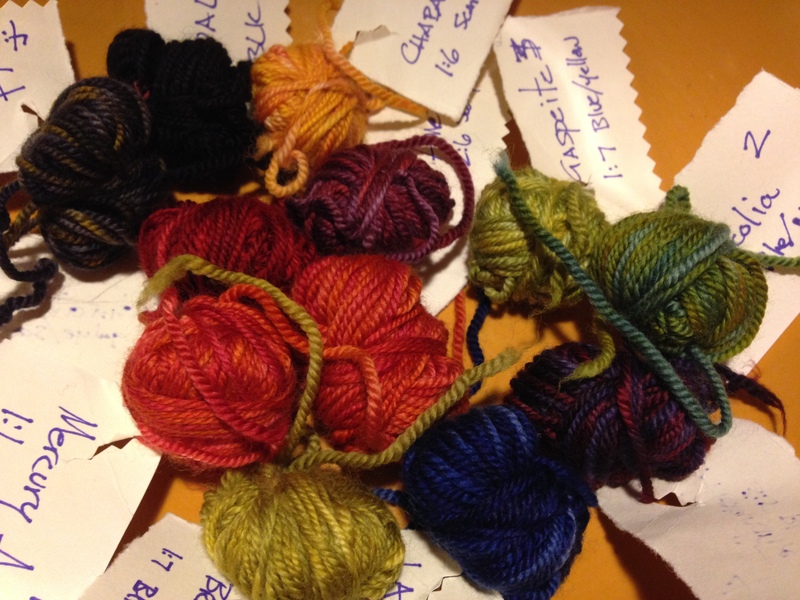 Here’s some of the Cuckoo Wasp yarn already dyed, ready to be rolled into balls. 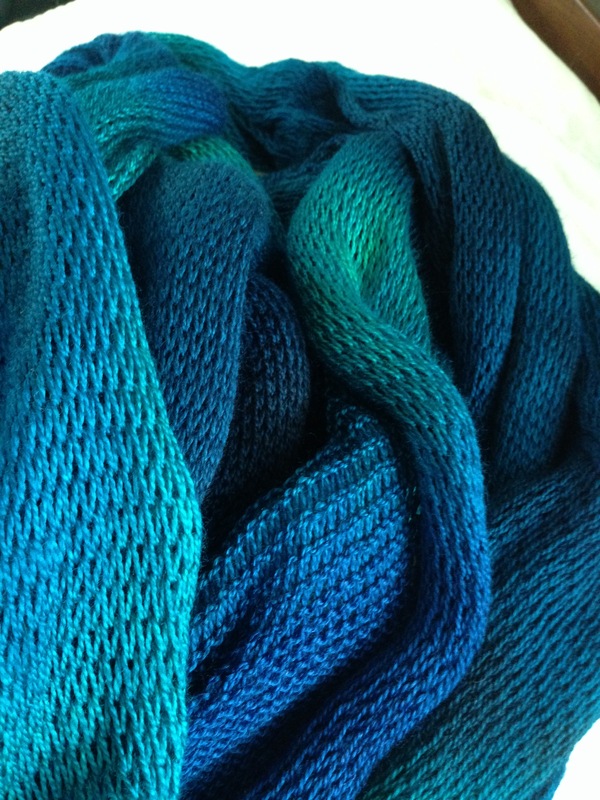 I knit all the fabric up, then dye it (so I can place the long-color gradients) and then roll it into balls. Yes, it’s labor intensive, but it’s worth it for the beautiful FLOW effect! And I turned the corner on my yoked sweater, huzzah! I figured out the insane math that will allow me to line up the stitch patterns at the shoulder seams. I think. As soon as I get it figured out for one size, I discover I’ve screwed up another size. Matching up variables (different sizes, increase rates, etc.) is satisfying when it goes well, but it’s MURDER when it’s not making sense. You may lose your motivation today if your work has become too routine. The problem is exacerbated by your overactive imagination that makes it nearly impossible to concentrate on the necessary details. Showing your vulnerability can help. If you pretend that you have everything all together then others won’t be able to step in and offer assistance. I love mixing variegated yarns with solids or semi solids, and I’ve worked out some strategies for figuring out how to blend them, but anything I’ve come up with pales in comparison to the brilliant techniques Lorna Miser writes about in her new book, The Knitter’s Guide to Hand-Dyed and Variegated Yarn. This is a very helpful book. 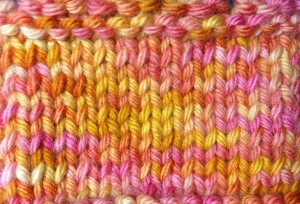 I’ve just finished a project for IK which combines solid & self-striping yarn. The use of color was a delight to figure out, and I’m so thrilled with the results that I am having the HARDEST time not blogging about it. (Well, that and the fact that I broke my camera so I don’t have great images at my fingertips…) I found having Lorna’s book as I worked up this new project to be quite helpful. But enough about my IK project – back to the book! 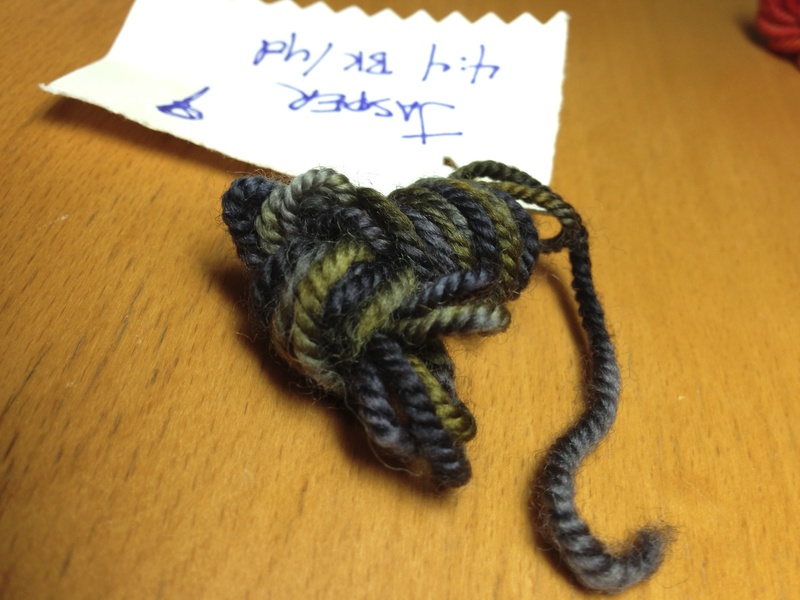 Lorna explains in full detail how to determine whether your yarn has a dye pattern that is “one way” or could be worked from either end of the skein with similar results. 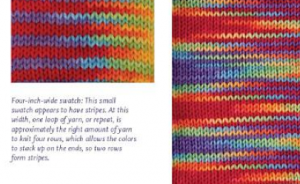 This may seem like a silly detail, but with this knowledge a knitter can be empowered to better control their knitting and get the color results they desire. Knowledge is power! 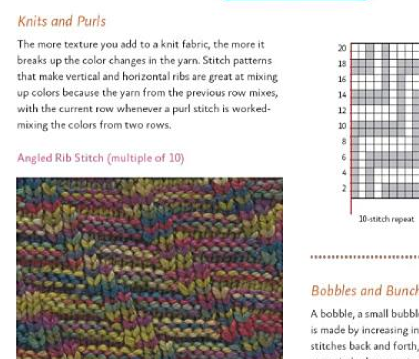 I really like how Lorna took apart skeins to show how the colors repeat, that will help make self striping and variegated yarns make more sense for a lot of folks. 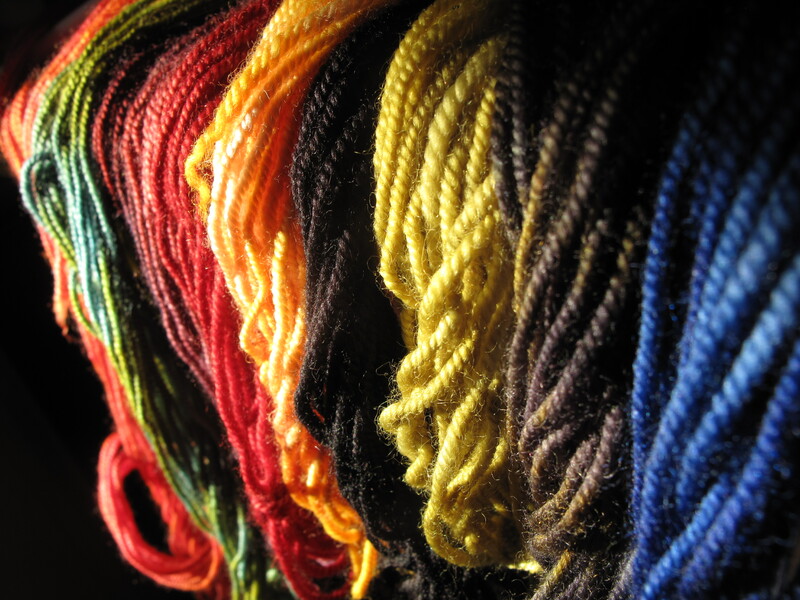 Her comparison of different commercial, easily obtained yarns with boutique yarns is also eye opening. 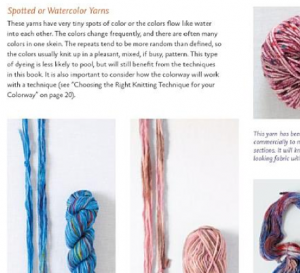 This section of the book alone will make many knitters yearn for a swift (I use a metal umbrella kind) so they can easily unwind & skein purchased balls to figure the dominant color in a skein. 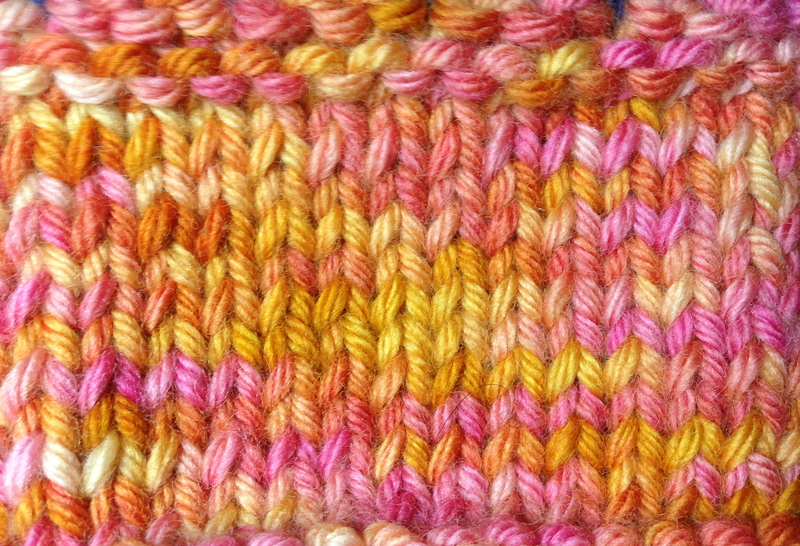 Lorna includes patterns, most of them rather simple (as befit multi-colored yarns), so that her techniques and tips can be tried out and experimented with immediately. I can see many yarn shops using this book as a jumping off point to instruct their customers on how to use variegated yarn in the most efficient and targeted way. 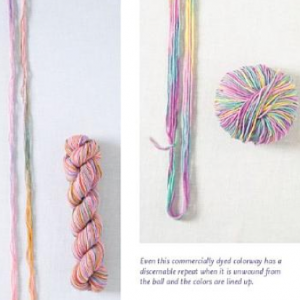 For folks (like myself) who like to knit with multi-colored yarns, The Knitter’s Guide to Hand-Dyed and Variegated Yarn is incredibly helpful! This is a very good book to have on the knitting bookshelf, and one that I can see myself returning to again and again for reference.